As readers of Bridge Magazine today may know, the last Ph.D toxicologist working for the Michigan State Police resigned in November, leaving the state with no one who can offer expert testimony interpreting the results of alcohol and drug tests. That’s bad news for the state, but it could be good news for Rep. Bob Genetski. The Saugatuck Republican was arrested for suspicion of drunken driving last week as he was driving in East Lansing after Gov. Rick Snyder’s State of the State address. Genetski refused to take a Breathalyzer when he was stopped by Michigan State University Police. About 3 ½ hours later, though, he agreed to take a Breathalyzer, which showed the state representative had a blood alcohol level of .066. That’s below the state threshold of .08 for operating a vehicle while intoxicated. But what was his BA level when he was stopped more than three hours earlier? Bridge called toxicologist Michele Glinn, who now works at a private lab in St. Louis, Mo. She said that with a typical individual, the science works this way: A BA level of .066 taken 3.5 hours after an arrest would mean a BA level of between .11 and .12 when the officer made the traffic stop -- a BA level above the drunken-driving threshold. "I used to do those calculations every day," Glinn said. With her departure from the MSP, a lab employee who is not a Ph.D toxicologist runs those calculations and testifies when necessary. But Glinn noted that they may run into trouble in court. "There are defense experts, generally Ph.Ds, who make a living (testifying for the defense)," Glinn said. "They say, 'Oh, Mr. Drinksalot's blood alcohol level was definitely below 0.08 at 12:30 am.'" The state needs to be able to rebut them" with a similarly credentialed expert witness. Genetski didn’t return calls made by Bridge, but in a statement he released to the media last week, he called his arrest "an eye-opening experience." It may be for the state, too. Saw a mention of Rep. Genetski being stopped in my local paper (Traverse City Record Eagle). With only the report of his .066 blood-alcohol level at the time of testing, combined with the fact that he refused the Breathalyzer test when stopped (hours before), the reader was left to "read between the lines." 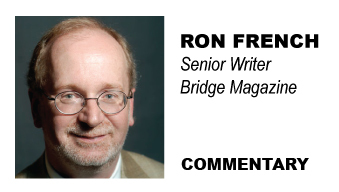 THANK YOU, once again, Ron, for providing an important piece of information that TRULY informs the general public. I would hope that our Attorney General would "lobby" for re-staffing the MSP toxicology office with as much energy/interest as he apparently is with our prisons.